CFast is a gentle and minimally invasive orthodontic treatment that is designed to straighten the front six teeth. It’s an innovative solution that can align crowded teeth, close gaps and correct rotated teeth quickly. In addition, the technique of CFast tooth alignment can be used to even up gum levels, helping to improve the overall appearance of your smile. Unlike traditional braces that involve obtrusive metals and brackets, CFast uses tooth coloured brackets and wires that are unnoticeably fixed to the teeth in order to move the teeth into their proper position. CFast cosmetic tooth alignment can be used as a stand-alone treatment or used to align teeth before the placement of crowns or veneers to ensure a conservative tooth preparation. Cfast braces are comprised of clear orthodontic brackets and tooth-coloured nickel titanium wires. The technique is similar to that of using clear aligners, but the movement of the tooth is more predictable and is two times quicker. CFast comes in different types to suit the needs and lifestyle of every patient. CFast Labial: It is an innovative cosmetic orthodontic procedure that aims to straighten the front teeth. This treatment can produce aesthetic results in as fast as eight weeks at a pocket-friendly price. Though it’s not a replacement for conventional braces, it is aimed at the front six or “social 6”, which involves simple correction as done by your accredited CFast dentist here at Q1 Dental. CFast Simple Lingual: This is called the ultimate aesthetic brace, and an ideal solution for those patients where speed and appearance are essential. Simple Lingual braces use brackets positioned on the inside of the mouth where they cannot be seen. They are totally discreet since the brackets are hidden behind your teeth. The lingual system gives optimum fit and comfort through efficient and effective customised lingual braces. ART (Anterior Repositioning Trays): Patients who can’t wear fixed orthodontic appliance can opt for this treatment. With the use of tried and tested principles of orthodontics and most advanced art materials, the anterior repositioning trays provide a series of clear aligners that gently and effectively move the front six teeth into their more ideal alignment. ART aligners are invisible, fast and cost-effective. Cfast offers three primary advantages over traditional braces – discreetness, speed and affordability. All CFast braces are discreet since the brackets and wires, especially the clear aligners, can blend well with your teeth and your smile. Also, the overall treatment with CFast is relatively quick, as it will usually be done within six months. 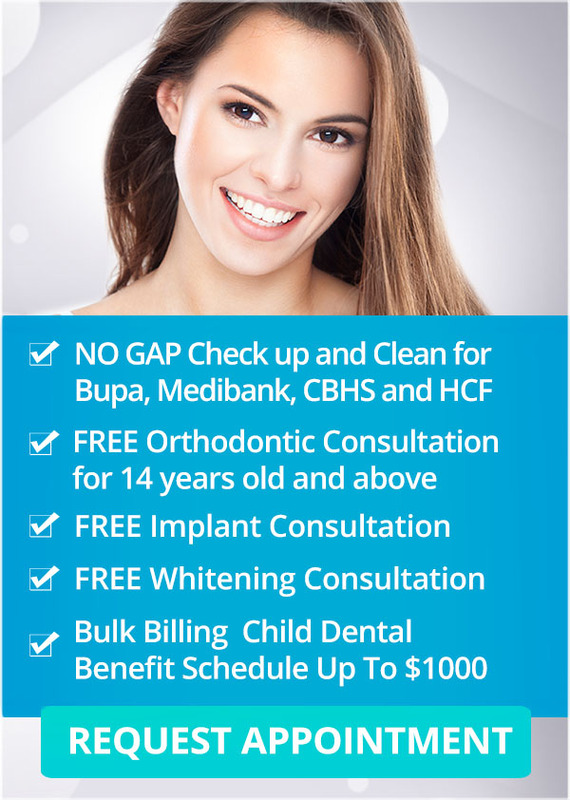 Most of all, with CFast, the treatment is more affordable compared with other types of orthodontic procedures. To learn more about CFast Cosmetic Tooth Alignment and the way it can significantly improve your smile, be sure to consult your trusted cosmetic dentists in Melbourne here at Q1 Dental. We provide first-rate solutions for every cosmetic dental problem, because we know how powerful and beneficial it is to have a healthy, beautiful smile.